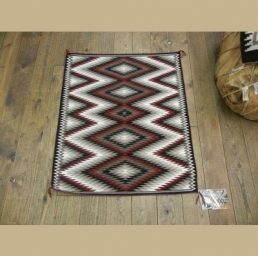 The weaving of Navajo Indian rugs is deeply rooted in the culture and traditional beliefs of Navajo life. 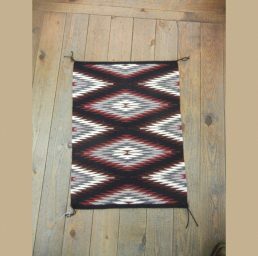 Passed down from generation to generation, the art of weaving has become a central part of the shared values and community structure still seen today. 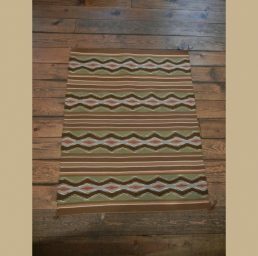 The traditions reflected in Southwestern Indian rugs date back more than 300 years when the Navajo Indians first learned the art from Pueblo Indians. 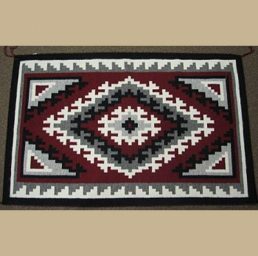 Like the Pueblo peoples, Navajo Indian artists use a traditional, non-mechanized loom to weave their rugs by hand. 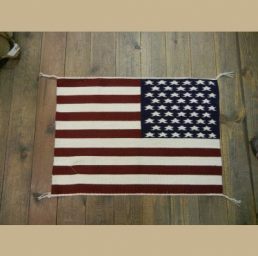 These rugs are authentic and still made of all-natural materials—wool with natural dyes (although some commercial dyes are used as well). 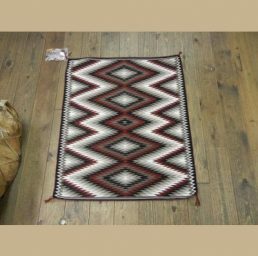 The rugs of the Navajo Indians are often named after the geographical location where they originated. 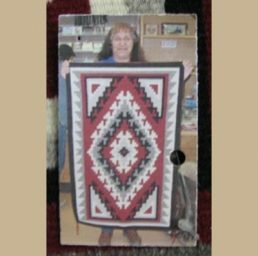 Ganado Red Navajo Indian area rugs, traditionally woven with a deep red background, consist of one or two terraced diamonds in its center. 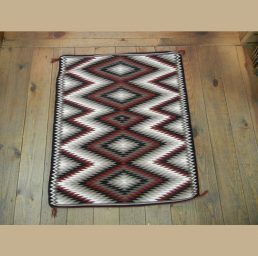 Two Grey Hills Southwestern-style rugs are predominantly brown, grey, and white. Though the patterns have changed slightly over the years, the modern-day style features two terraced diamonds in the middle with cornered triangles surrounded by an intricately-patterned border. Pictorial Weaving varies, depending on the weaver. 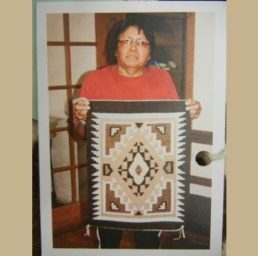 Some choose to incorporate animals; others portray Yei, or Navajo deities (although traditional weavers consider putting their deities into a rug design taboo). 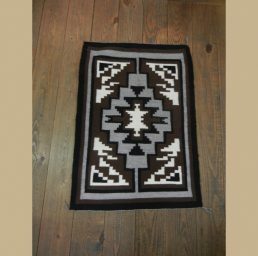 Storm Weaving is a bordered pattern Navajo Indian area rug with the trademark “four arm” pattern that reflects the borders of the reservation. The intricacy of these patterns reinforces the craftsmanship, skill and time invested in these hand-woven rugs. 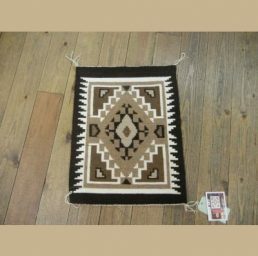 The Palms Trading Company carries a wide, but varying, selection of authentic Navajo Indian rugs. Our personal shopper service lets you see our larger in-store collection. 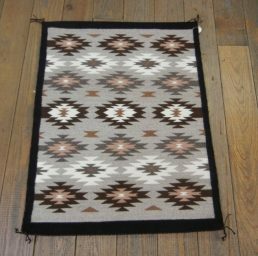 If you have any questions about our selection or how to take care of your Navajo Indian rug, please contact us.